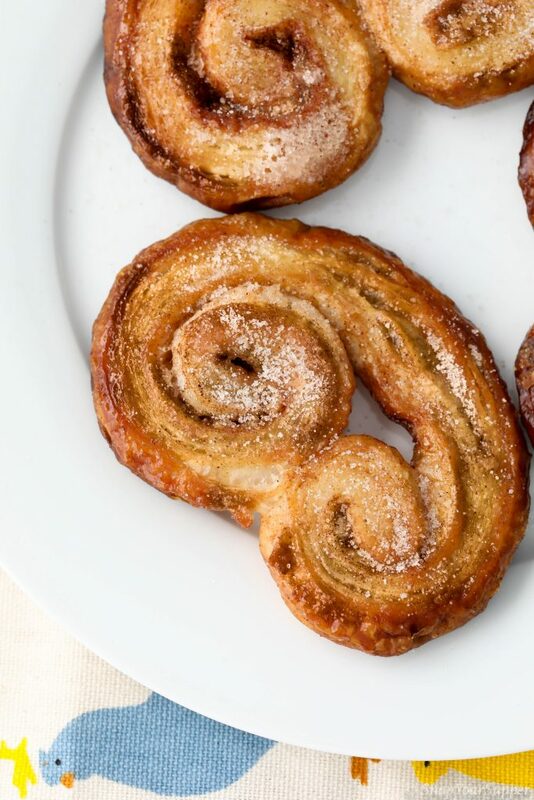 Let me start by saying that these palmier cookies are amazing! 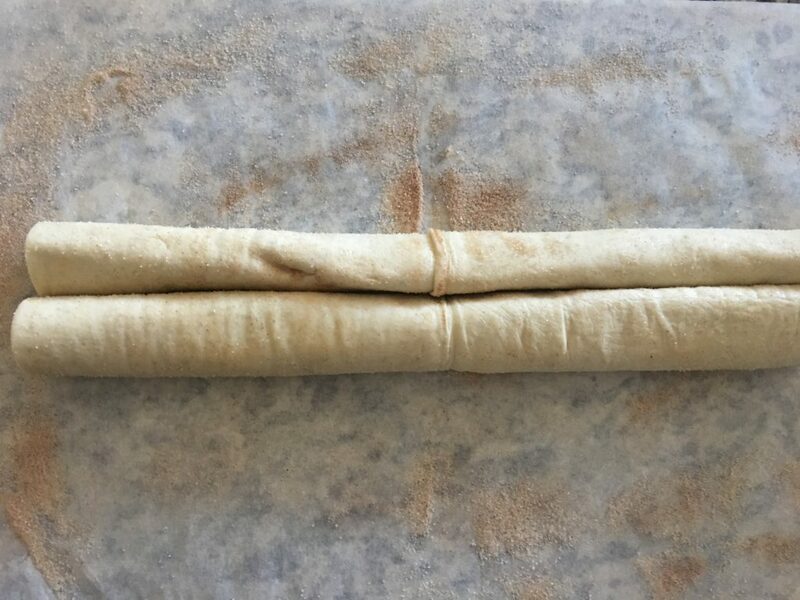 They have been around for ages and are in no way an original but with requiring only 3 ingredients I couldn’t help but post the recipe. The most confusing part of making these beauties is the rolling process and I will include a few step by step pictures to help you along. 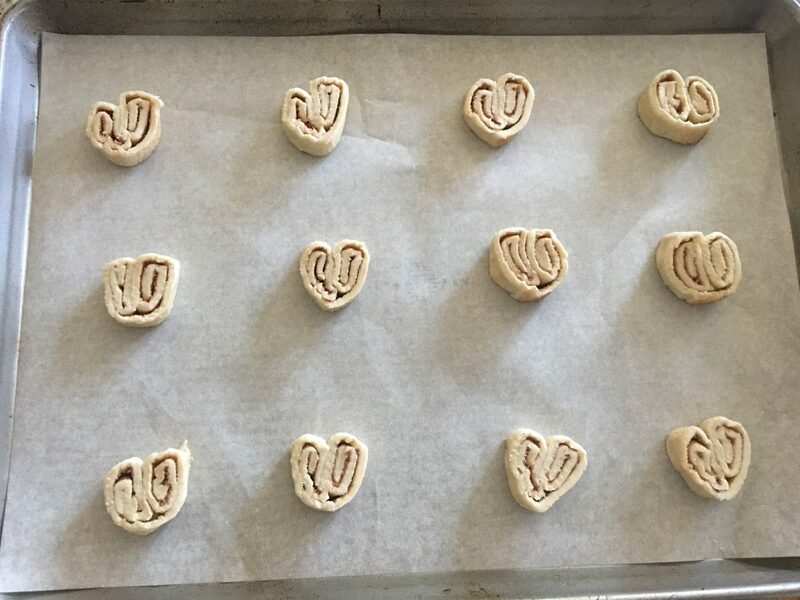 🙂 I hope if you haven’t tried them you love them as much as I do and take comfort in knowing that a treat is a simple 3 ingredients away! The first step is to make sure your puff pastry is thawed. I do this by placing it in the fridge over night for ease. My favorite brand is Dufour because it has great flakey layers as well as buttery taste. You can find it at Whole Foods for sure. 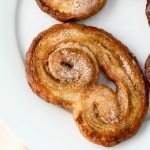 In a small bowl mix together the cinnamon and sugar. 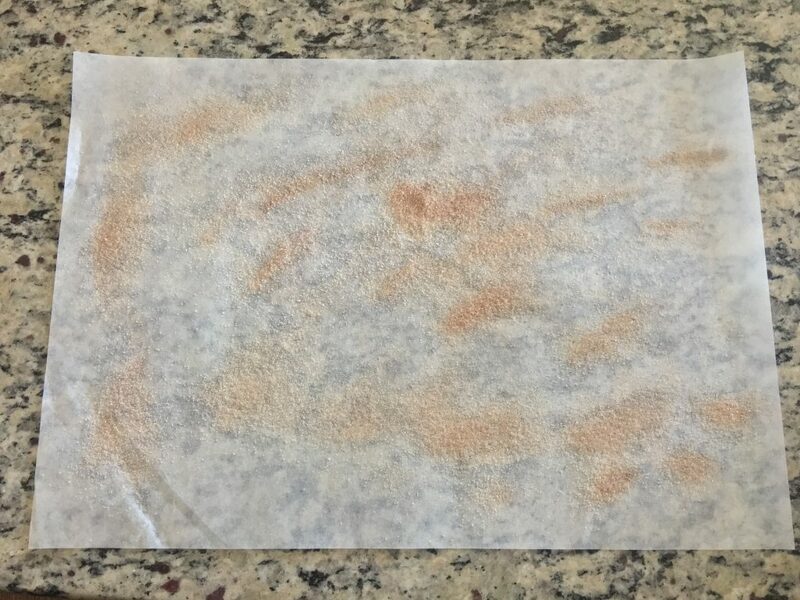 Sprinkle 2 teaspoons the cinnamon sugar mixture evenly over parchment paper. 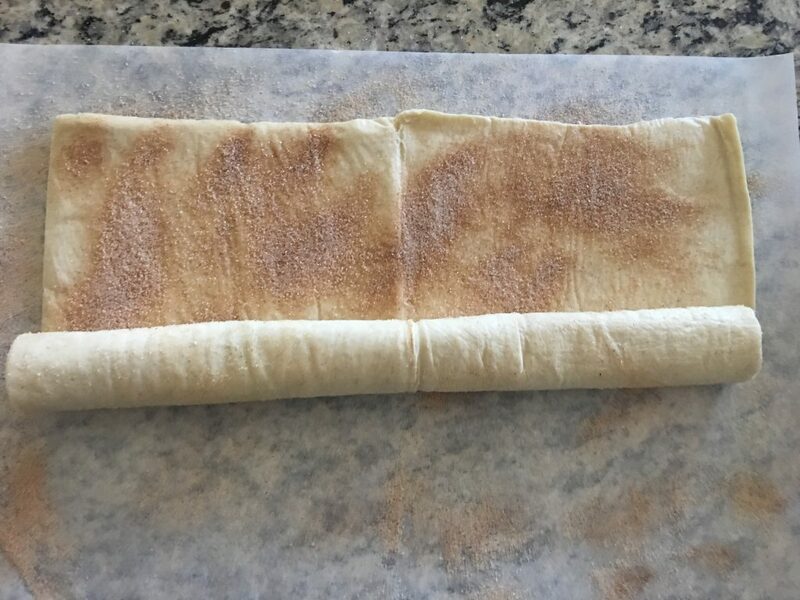 Carefully unroll your folded puff pastry on to the parchment. 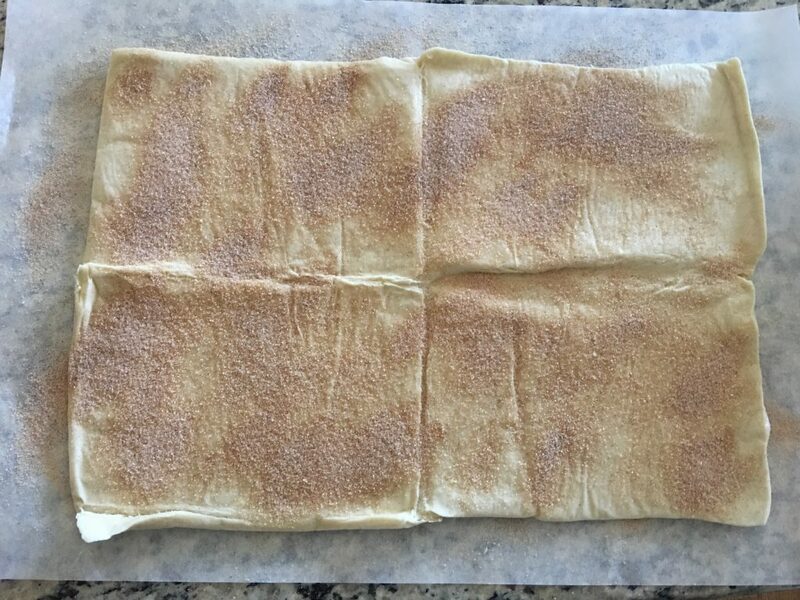 Sprinkle the unfolded pastry evenly with 2 tablespoons of the cinnamon sugar mixture. 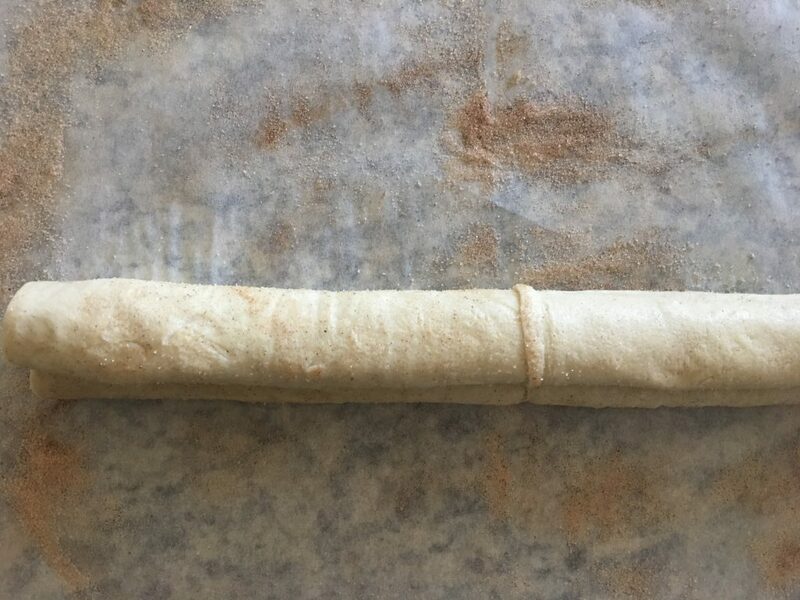 Starting with the long end facing you; roll the pastry up until you reach the middle crease. Do the same with the other side until the two meet. Refrigerate for at least 2 hours then slice into 1/2 inch slices and place on a parchment lined baking sheet. Bake at 425 degrees for 10 minutes. Flip and then decrease temp to 400 and dust each slice with more cinnamon sugar. Place back in the oven and cook for an additional 10-12 minutes. Watch carefully because the bottoms will burn! Remove from oven and place on a cooling rack to cool completely. Serve on their own or delicious with chocolate sauce ! 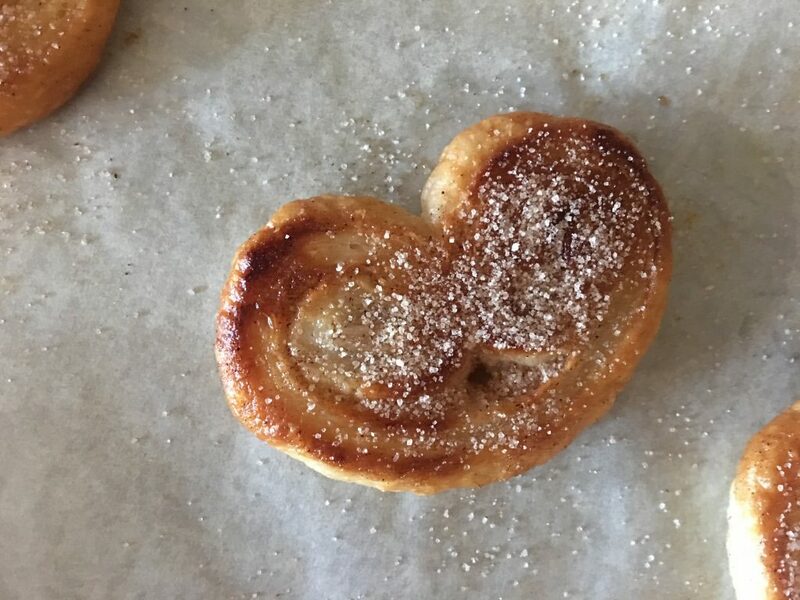 Light and crispy cinnamon guilded cookies that are made with only 3 ingredients.